But is everyting what it seems to be? 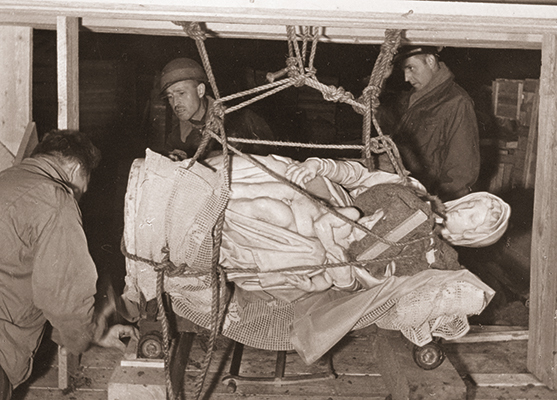 In 1944 German soldiers steal the ‘Madonna with child’ of Michelangelo from the Church of Our Lady in Bruges. Whether the famous statue will be found back, depends on your team! In this house designed by a bizarre architect, the laws of gravitation no longer prevail. A unique experience, but how will you get back in the normal world? As soon as the door is locked, your team is in a completely different world. Can you unravel the mysteries and distinguish the hints from the wrong tracks? One hour to bring all puzzles and assignments to a good end. Your brains and those of your team mates are constantly put to test. Think “out of the box”. Look for creative solutions. Tension increases visibly. The clock is ticking. Your hearbeat accelerates. Mission Michelangelo: a very well thought-out, high-end escape room. When you think you escaped, the next surprise is waiting for you! In an escape room you can expect everything, but in Upside Down, the world was literaly turned upside down. A room full of surprises and special effects. The hour passed in a flash. With Mission Michelangelo you experience real history in an authentic setting. Highly recommended. 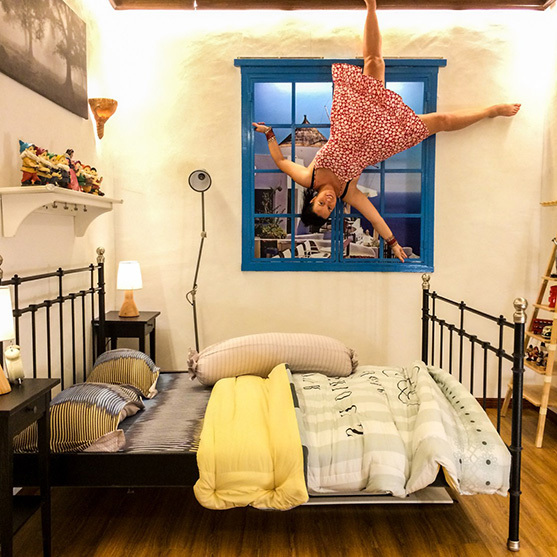 The Upside Down room is right from a to z. The furnishment is splendid. Thrilling from the beginning to the end. Great experience. Amazing Escape, Ezelstraat 79, is located in the center of Bruges, within a five-minute walk of the Market Square.